If you need to create a large application, such as a Web site, do you start writing a bunch of individual scripts, each designed to handle one URL and each handling their own database access and printing their output directly to STDOUT? Of course not. You'd reach for a Web framework. If your application is complicated enough to benefit from a framework, your test suite would probably benefit from one for the same reasons. Test::Class::Moose isn't just for testing code written in Moose — it's for testing anything you would ordinarily write tests for. While it's fine for testing libraries, when you have a large application, Test::Class::Moose really shines. If you're struggling with your company's test suite, you may wish to read The Zen of Application Test Suites to attain enlightenment. Test::Class::Moose was designed and written by Curtis "Ovid" Poe ovid@allaroundtheworld.fr. Ovid also wrote the well-reviewed book Beginning Perl and is one of the authors of Perl Hacks, along with chromatic and Dr. Damian Conway. 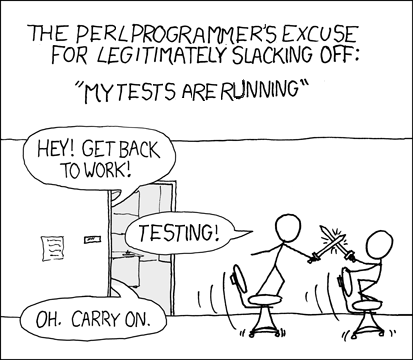 He also wrote the test harness that ships with Perl and has commit rights to much of the Perl testing toolchain. If you'd like to hire Ovid to fix your test suite or write software for you, drop him a line at ovid@allaroundtheworld.fr.